In October 2016, the Group's brand FIONA CHEN, with the disappearing animals as the inspiration, opened the 2017 spring and summer fashion show of the brand at the China International Fashion Week. The comfortable and bold color combinations, running thylacines, pink dodo birds, dancing quagga and others patterns provoked people to think about the earth's environment. The collision and fusion of new technology and the traditional technology, rationality and humor, personality and fashion, internationality and nationality as well as toughness and softness are all blended with each other, interpreting the unique charm of the brand. In July 2015, the Cultural and Creative Industrial Park of Anzheng Fashion Group in Haining, China was officially put into use. The Industrial Park is planned for 128,600 square meters with the construction area of 247,000 square meters. 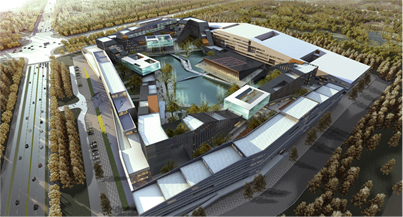 It is a comprehensive industrial park integrating production and storage, brand management, comprehensive office, staff’s life, product display and other function blocks and equipped with coordinated functions of traditional culture, modern dressings and creative park, becoming a solid fortress for the company to achieve the strategic goal. With the elegance and inspiration of the “supreme beauty of the times”, JZ opened the fall-winter high-grade ready-to-wear collection in Beijing Hotel on March 24th 2014, aiming at displaying the design and brand quality of JZ brand and lighting up a warm and charming fall and winter. Through incorporating the traditional aesthetic concept in China and studying the body shape of modern urban women, fourteen years’ hard work of JZ has led to the honor of “a brand that has the expertise to understand how to best embellish women’s body shape”. On October 26th 2012, the news conference for Anzheng Fashion Group’s “double-creation” promotions during Beijing China international fashion week announced the creation of Anzheng men’s wear and promotion of JZ brand, which was of great significance for the further development of the Group. 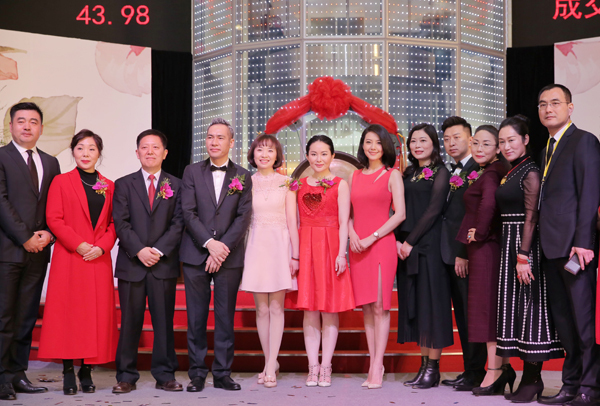 In 2012, Anzheng Fashion Group entered strategic cooperation with two international corporations-Roland Berger and Ogilvy & Mather, which greatly ensured the overall development of the Group and its brands. In May 2012, Haining Culture Creative Industry Park was founded, paving the way for the leapfrog development of Anzheng Fashion Group. velopment of Anzheng Fashion Group. In April 2012, Anzheng men’s wear was launched and the first store was opened in Zhuozhan Shopping Center in Shenyang on April 27th 2012. 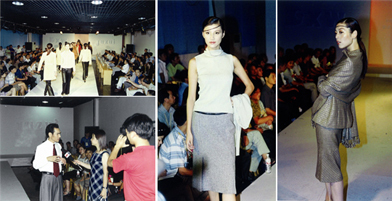 By then Anzheng further improved the brand development system of Anzheng Fashion Group. The Group held its 10th anniversary on October 25th 2011. Mr. Mario Boselli, president of National Chamber of Italian Fashion, and Mr. Du Yuzhou, chairman of China Textile Industry Association, gave their high recognition to Anzheng Fashion Group. 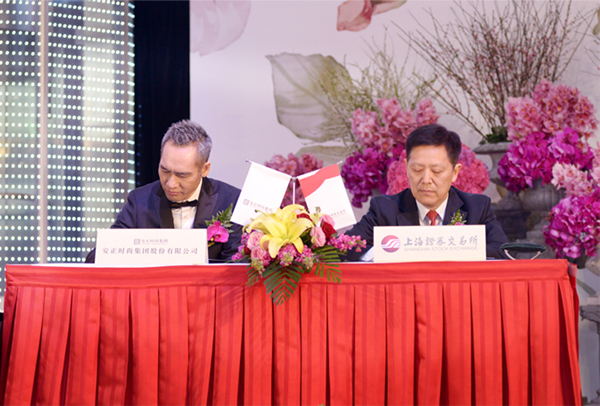 In July 2012, Zhejiang JZ Industrial Company Limited was renamed Anzheng Fashion Group Company Limited. Its office building in Shanghai was put in use and the Company officially entered conglomerating development stage. In 2008, the Company’s design-focused high-end lady’s wear brand “IMM” was born and the Company’s primarily formed its multiple-brand strategy. In 2004, JZ set up R&D headquarters in Shanghai; in the same year it established long-term strategic cooperation with Naliloly Design Firm from France, which ensured the most up-to-date fashion component from Europe. In 2001, JZ brand was created, making a magnificent turn from leather production to the selling of high-end ladies’ garment. From then on, the Company started its brand development. In the same year JZ held its first news conference. 1998, Haining Jiudong Leather Development Co., Ltd, the predecessor of Zhejiang Giorzio Fashion Co., Ltd, was established . 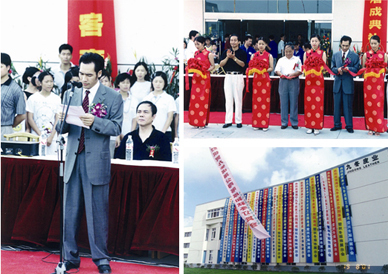 In 2001 Haining Jiudong Leather Industry Park was completed.